Capacity remained the most pressing logistics issue across the supply chain as the new year began. This is especially true within the transportation sector, where the driver shortage, ELD mandate, and other factors severely impacted the trucking industry’s ability to handle increased freight volumes. Because of this, more shippers are looking to intermodal (rail) transport for capacity. According to the Association for American Railroads (AAR), intermodal volume rose by 3.9% in 2017. Through the first 28 weeks of 2018, AAR reported that U.S. rail carloads are up 1.5% annually at 7,259,135 and intermodal units are up 6.1% at 7,686,093. Part of the volume growth in intermodal was due to the capacity issues that challenged trucking as the electronic logging device mandate took hold and some carriers strained to find enough drivers to carry loads. We are experiencing a market with low truck supply and high freight demand. 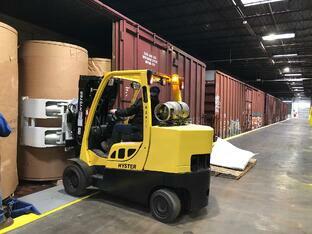 One of the reasons for tightened capacity is the ongoing driver shortage. Year after year, skilled truck drivers are retiring with fewer younger experienced drivers taking their places. Fewer drivers mean fewer trucks on the road to haul the increase in freight, which, in turn, drives up the cost of your freight and eventually that increase will have to be passed along to your customer. U.S. shippers are desperate for capacity and turning to modes they previously shunned as a result. As the trucking industry benefits from the economy and the electronic logging mandate squeezes an already constrained supply of truckload drivers, shippers note the lack of capacity is a challenge. Capacity shouldn’t be an issue in most cases as the major rail operators have been preparing ahead of time to allocate equipment and labor as needed. Rail is a greener and less expensive transportation method than trucking – it’s 4 times more fuel efficient and the average train can carry the equivalent of 280 trucks. And, where rail transport used to be a major headache, the railroad industry has poured billions of dollars into U.S. rail service and infrastructure over the last decade. 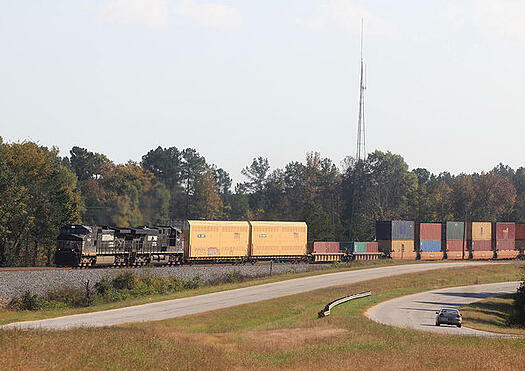 These improvements – along with greater cooperation across rail lines – have allowed for seamless connections between major freight markets. For instance, what was once nearly a week-long trip from California to the Ohio Valley can now be done in a predictable 4-5 days. Rail companies have embraced automation for key functions such as routing, and have made major investments in electronic monitoring to allow shippers to track their containers anywhere in route. Readers placed along rail tracks and E-Seals on intermodal containers with motion and tampering sensors, coupled with the GPS-Cellular-Satellite communication based monitoring system at the locomotive, allow for real-time visibility and reporting which rail companies make available on web portals. While intermodal certainly has many advantages over trucking in the current transportation climate, there still are potential hurdles that you must consider. First and foremost, intermodal transport is slower than OTR (Over the Road). This means that it is better equipped to handle non-urgent shipments – freight that is on a predictable, repeating schedule. Eventually rates will stabilize, but for the time being, expect them to rise as capacity remains tight. The likely outcome of increased truck rates will be the transition from highway transport to rail freight. At the moment, the “biggest risk“ to intermodal growth in 2018 comes from U.S. trade policy, according to the Intermodal Market Trends & Statistics quarterly report. If you’re new to rail or just use it for a small portion of your shipments, it may be in your best interest to talk to a supply chain expert who has experience, capabilities – and, perhaps most importantly, the relationships – related to intermodal transport. Third-party logistics companies (3PLs), for instance, can handle every aspect of the supply chain between manufacturer and consumer and can help you find opportunities to implement intermodal and other transportation solutions.